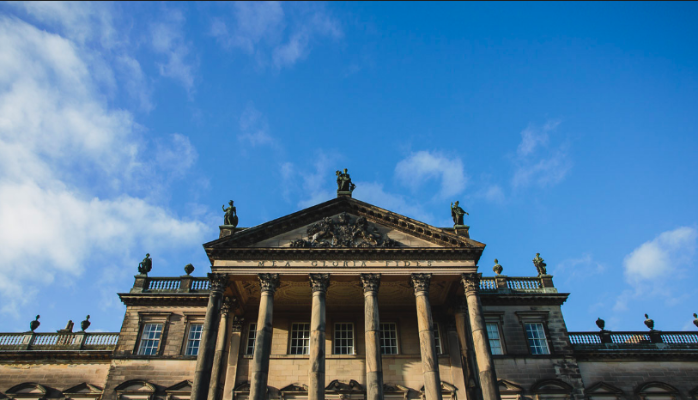 Dan Cruickshank (arguably Britain’s finest historian, presenter and writer) described Wentworth Woodhouse as ‘one of the most important and powerful places on earth’ in the late eighteenth century. When I first read Dan’s The Country House Revealed, which I dug out of the library many years later this morning, I was awestruck by the sheer scale of the place. The east front, pictured above is my all time favourite example of Palladian architecture. Ironically almost too big to take a half decent photo of! Imagine my surprise this afternoon when I came across the entire 82 acre estate listed for sale via Savills. Have a look here, it’s real treat!